We know life is busy and decorating for Halloween can be frightening! Here are a few decoration ideas that are easy and cheap! 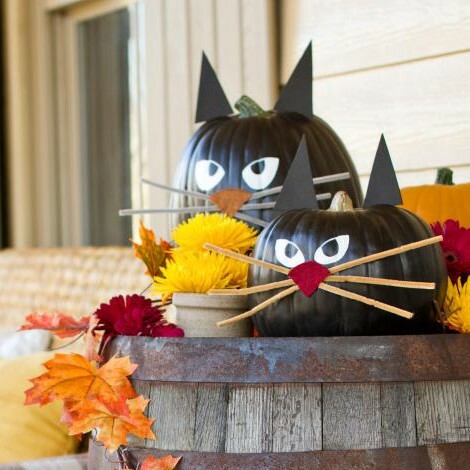 Save the carving for Thanksgiving and have fun with these awesome carve free black cat pumpkins. 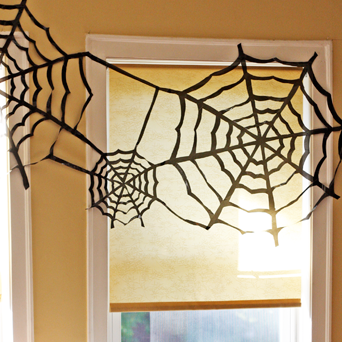 These spider webs are creative and you can make them in minutes with something you probably already have in the house! 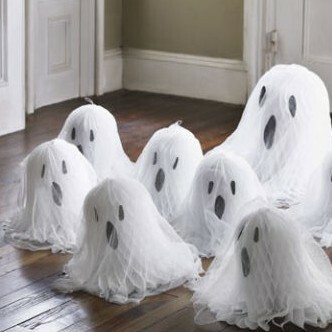 Create this ghostly family in just a few short minutes. This site also has other great ideas for spooky and easy decorations. 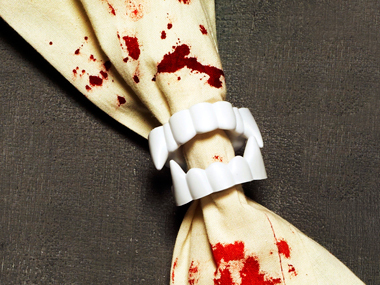 These napkin rings are a nice touch for any halloween party! Click here for this and other ideas!